When trying to protect their hearing, are you solving the wrong problem? According to the latest figures from the Centers for Disease Control and Prevention (CDC), 22 million workers are exposed to potentially damaging noises each year. The CDC reports that in 2007, “82% of the cases involving occupational hearing loss were reported among workers in the manufacturing sector.” That’s 8 out of every 10 workers who are employed in the manufacturing industry. In fact, hearing loss is the most common form of work-related injury reported in the manufacturing sector according to the Bureau of Labor Statistics. It seems that what most are doing isn’t working. 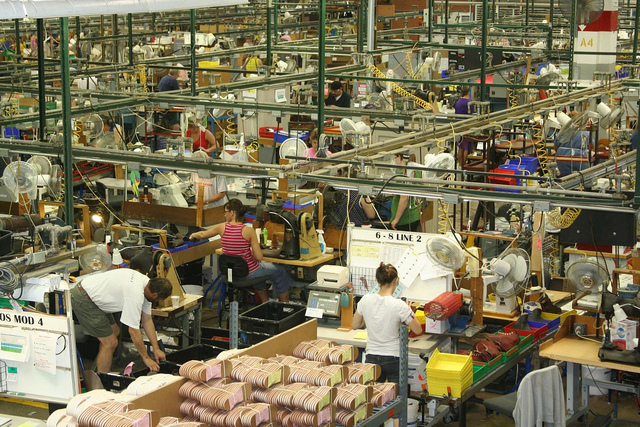 Most work related hearing loss occurs gradually in the first ten years of employment in a manufacturing environment. That means that many new employees won’t even think about protecting their hearing until they are required to. Because the damage is done slowly over time, the worker will not notice a problem until methods of prevention are too late. Even when a manufacturing plant takes the necessary steps to engineer out the noise, hearing protection like Custom Protect Ear’s dB Blockers is still needed to prevent noise induced hearing loss. So, if companies are providing hearing protection, why do we still have the problem? Let’s start by looking at the noise sources. Where’s the Noise Coming From? The fly in the ointment is communication. From the dawn of mankind, our ears have been the primary source of safety for the human. That’s the reason we have no “ear lids”. We can never turn our hearing off. And it is a good thing too. Hearing detects in all the hazards, in all directions in three dimensional space, whether were awake or asleep. To protect our hearing by disabling it, flies in the face of this fact. So workers enable their hearing by disabling their protection. And it is not just the worker who suffers. The toll of occupational hearing loss isn’t just felt by the workers. It’s also a financial burden on the manufacturer. Hearing loss is a valid form of workers compensation, and if an individual can prove that he or she suffers from occupational related hearing loss from long-time noise exposure in the workplace, the business will have to pay a costly settlement. How much? In the United States, an estimated $242 million is spent annually on worker’s compensation for hearing loss disability. The bottom line: When an employee suffers occupational hearing loss, everyone loses. That does NOT include the value of the knowledge the worker with hearing loss possess that is less able to be accessed because communication is so difficult. Stop occupational noise induced hearing loss before it stops you. If you are an owner or manager of a manufacturing company, whether big or small, protect your best assets – your workers – by sound proofing your workplace and providing workplace hearing protection they can hear through to your employees. If you are an employee, educate yourself on the dangers of manufacturing noise and insist on personalized, dB Blocker hearing protection you can hear through to prevent further hearing damage.